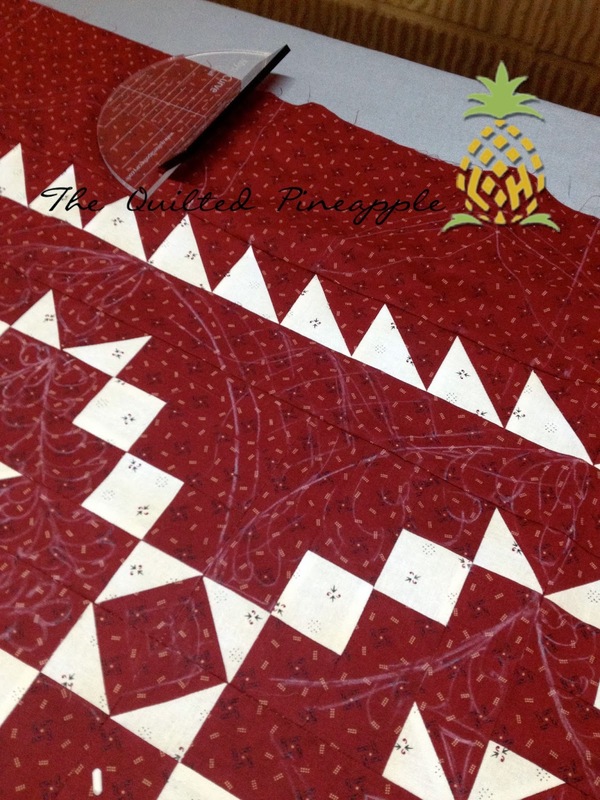 THE QUILTED PINEAPPLE: Quilt Designs, "Does it Fit?" When it comes to coming up with quilt designs, I stick to one guiding principle..."does it fit?" I say it in my head and I say it out loud. My goal is always to create quilt designs that do not compete with the quilt top, piecing or applique. Like the quilt was born that way...a partnership...marriage of sorts. The quilting and top are intertwined in a way that you cannot tell where one ends and one begins. Of course I want my quilting to show, but I never want the quilting to be all you see. My hope is to create designs that elevate a quilt, not conquer it. My best ideas for designs usually come once the quilt is loaded. Sometimes the quilting just screams at me, other times the top makes me guess a little. In those instances, I like to lay the quilt out and stare at it. I like to squint and/or let my eyes fall out of focus as I stare at it. This can help you see secondary shapes or designs appear. It also helps you see what really stands out. When I started quilting, Jamie Wallen taught me to squint at tops to pick out the best thread color, but I found it works great for designing too! In the case of Settler's Puzzle, the white areas pop out at you, but I almost could see circular and curving shapes too. Not all those 90 degree, boxy shapes when you first glance at it. The top is a repeating design, traditional and the red is a reproduction. Those all factor into designing as well. I have worked with enough dark reproductions to know that small, heavy designs are not going to show...like background fillers. Unless there is a quilted motif...like feathers with fill around the feathers. Sooooo, I thought I would create a design that would play up those curving shapes and a design that repeats. My favorite way to audition designs is to draw them right on the top with plain old white chalk. I can easily wipe it away. 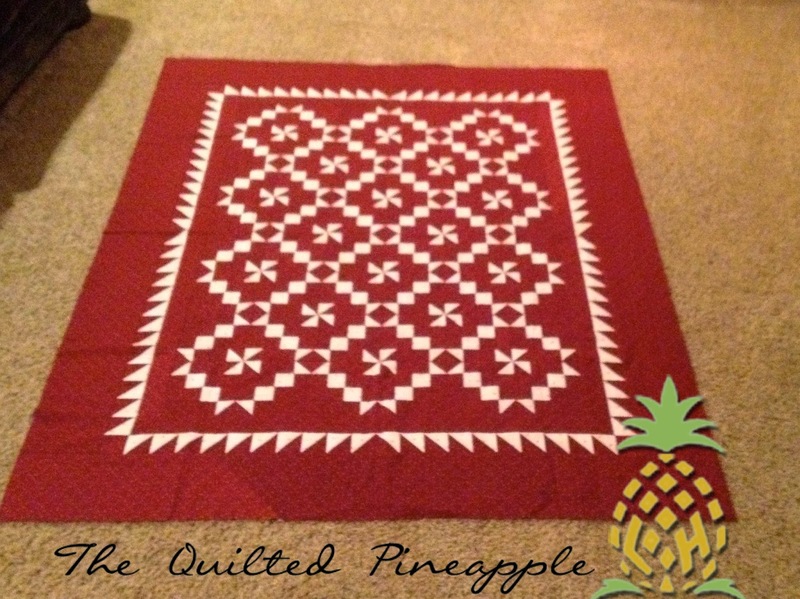 Repeating that curved crosshatch design around the quilt creates a look of scallops. In order to make the design continuous, the corners also have a curved crosshatch design. Feathers complement the design and create a bridge from one area to the next. Feather spines with a soft curve mimic the circular shape, framing those white chains and pinwheels that were popping off the top when you were staring at it. :-) Remember? So repeating the curved lines/shapes and feathers, just like the piecing design repeats. Quilting and piecing playing off one another so that "it fits." If I need to find inspiration for a quilt like this, I look to antique quilts for ideas. Pinterest, books or eBay can be a great source for inspiration. Often this will get my creative cap working. Another way I like to audition designs, but I do not do it as often is to take a photo of the top, make a photocopy and draw designs on the photocopy. I did this for a quilt like Portland Rose seen here. Linda your quilting is divine! Always an inspiration too! 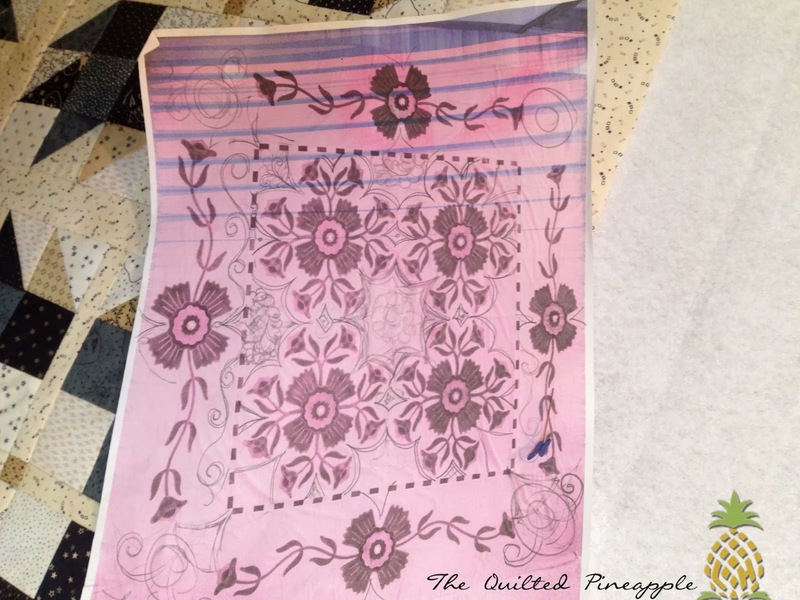 I too print off a photo of the quilt & use it to draw designs on & ideas. Don't you find some quilts just 'tell' you how they need to be quilted? Maybe I just crazy! I really enjoyed reading your post and your process, really helps me in what to think about when I pick a quilt design. I have a few tops to do and think I will stick with simple on some and take the time to decide on the ones that I want more detail on. Awesome info Linda - thanks for sharing your thought processes! I don't have a longarm, so mine are quilted on my Janome 6600 - even big ones. Sometimes just staring at that large expanse of unquilted fabric is enough to scare me to death LOL! I will do more squinting from now on and cut it down to size. Ha, you are a wealth of information, my friend. I learned something from this. Linda, thank you for walking through the thought process you use when quilting. 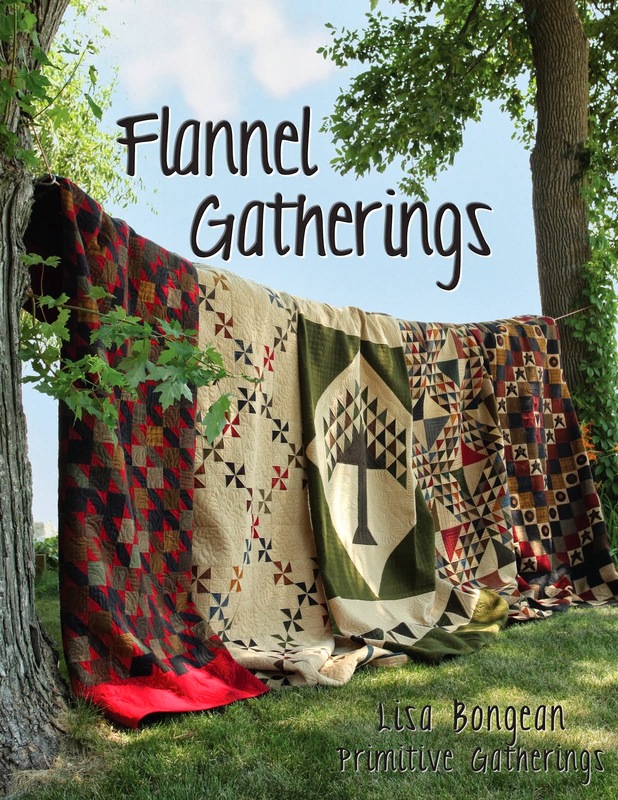 It gave me several things to consider for my next quilting project- especially your points about quilting that complements the design rather than shouts "look at me!". I was thrilled to see this quilt in person at a retreat with Pam last weekend. 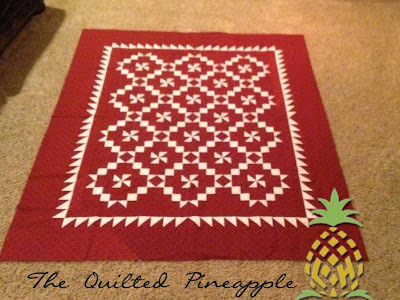 Thanks for sharing the process you use in choosing the design for a quilt. Thank you! Yes very helpful. It's great to read how you come up with all these wonderful patterns, squinting... I must give that a try. It is true, there is a wonderful balance between your extraordinary quilting and the design of the quilt(top). I have seen quilts where the quilting completely overtook the quilt(top)design, especially with overall longarm quilting designs. Such a shame. It is a tribute to your professionality that you keep this balance. I honestly believe the only "right" way is what works for each person. It's quite obvious the quilts speak to you -- perhaps only a whisper at first -- but then the results are loud and clear. 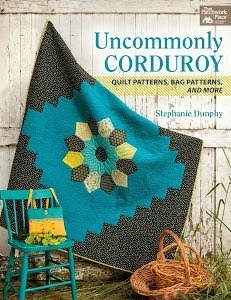 It is my hope that one day you'll do a whole cloth where the focus is strictly on your gorgeous quilting. The quilt you've shared is beautiful. Thanks for sharing - it's interesting to have a peek into how your mind works out such amazing designs. I just love curved cross hatching - but everything you do is gorgeous. Great thoughts Linda...thank you. I like the idea of folding your picture in 4th's. I load a pic on my computer...using 'Paint' i can doodle around right onto the picture, save what i like...delete the rest. Thank you for sharing your insights...appreciate it tons. Thank you so much for sharing your creative techniques with us, it certainly gives me a place to start. I really want to do some free motion quilting, but am terrified of ruining my quilt by doing so; drawing on it with chalk first, may give me the push I need to get started. Thanks, again! Now I know how the genius in you works, Linda! Thanks for sharing! Thanks for taking the time to explain your quilting design process, it's so helpful to see how another quilter comes up with their designs. I also use plain old white school chalk to audition quilting ideas as well as using it for guidelines, much easier to remove than unpicking !! 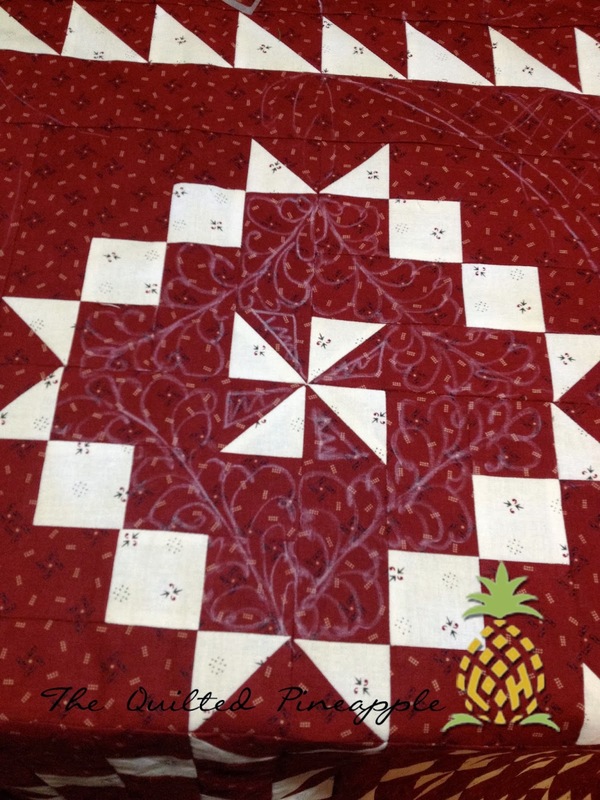 One of the reasons I particularly love your quilting is the fact that your quilting works with the quilt design in an organic partnership, enhancing the quilt. While some quilts have the most fabulous quilting it sometimes completely overwhelms the quilt design which I always think is a shame because someone has taken a lot of time and care to make their quilt, choosing a pattern and fabrics. As you say it should be a marriage of the two. I always love to see your quilting and really appreciate the insight you give into your quilting process. Thanks again Linda! 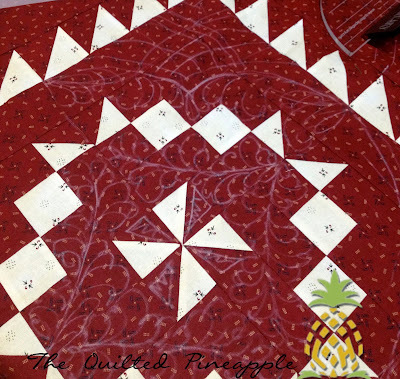 I am making this pattern with Pam Buda called Settler Puzzle from a Girlfriends Retreat with her. Mine is in Navy and beige, I love the way you are quilting it. Beautiful work.